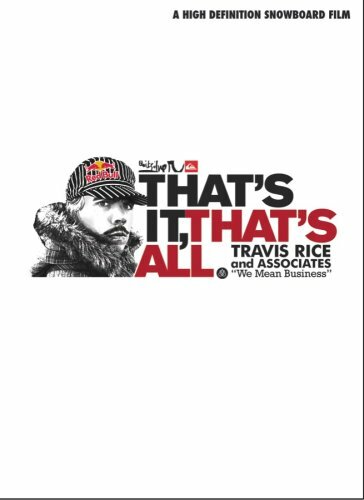 We first learnt about this kickass snowboarder Travis Rice, after watching an epic film called 'That's It, That's All' which was released in 2008. If you haven't seen it yet, you have to, even if it's just to watch the intro. Although once you watch the intro, I can guarantee you'll want to see the rest. I don't know how many times our crew has watched that film over the years, but it's enough for us to quote half the lines from it. Especially, "Shut your open mouth when you're talking to me because this is going to be a darn good movie!". If you've seen the movie, you're probably having a giggle. If you haven't then go and watch it and it won't be long before that line totally makes sense. It will be one that you will remember for a while. 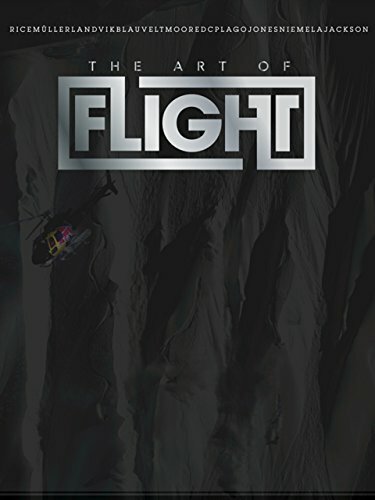 Next came 'The Art Of Flight', which was released in 2011. After two years in the making, it was considered to be the best action sports movie of all time. Four years later and we've hardly heard a peep out of Travis Rice. Until now. Travis Rice's new film 'The Fourth Phase' is easily the most anticipated snowboarding movie of all time. The teaser has just been released and fans are going nuts! Check out the trailer below and you'll see why. It's not just the phenomenal riding that we see from Travis Rice and his riding buddies who include Mark Landvik, Mikkel Bang, Eric Jackson, Pat Moore, & Bryan Iguchi, it's the incredible cinematography that goes with it which will even impress those who have never even seen snow. All three movies have been shot by Curt Morgan, CEO of Brain Farm, and 'The Fourth Phase' will be the first movie to be shot entirely with 4K cameras. Lastly, this is truly a teaser if ever I have seen one. The movie release is still around a year away as they plan to film over this winter. Check out the interview with Travis Rice where he talks about 'The Fourth Phase' and stay up to date on the latest at The Fourth Phase. Disclosure: Some of the links in this article are affiliate links, and at no additional cost to you, we may earn a commission if you decide to make a purchase. We only recommend products or services that we use personally and believe will add value to you. This article is designed to teach you to keep your skis or snowboards in great condition between shop visits.